The Baltimore Sun reports that Baltimore City is still unable to give a restart date for its speed and red light camera programs, which were shut down six months ago over reports of systematic erroneous citations. "If we don't have people that can do the job correctly, then we have to find someone who can," said City Councilman Brandon Scott. "This is something that needs to be handled posthaste. It's bad business for us to let the issue hang out there this long." Tests have shown that the system sometimes produces inaccurate speed readings, makes address errors and provides incorrect information on how to pay a citation, city officials said. "We want to make sure when they go back online, they go back online with accuracy, efficiency and consistency," Mayor Stephanie Rawlings-Blake said Wednesday. "The current vendor is not there yet." Baltimore City's program was previously run by speed camera contractor Xerox Corporation, the same company which runs the speed camera programs for the SHA, Montgomery County, and Baltimore County. However at the end of 2012, Xerox was forced to admit that several of its cameras were systematically ticketing innocent motorists, revealing that 1 in 20 tickets at some locations were issued due to erroneous speed readings caused by what Xerox officials referred to as "radar effects". This admission of the fallibility of speed cameras was the result of an extensive investigation by the Baltimore Sun, which included discovery that a stationary car had received a speeding citation, as well as evidence uncovered by the our organization which included analysis of video and photographic evidence, and the discovery of documents which revealed that the city and Xerox were aware of prior instances of errors and had received prior complaints from businesses about erroneous tickets on more than one occasion. 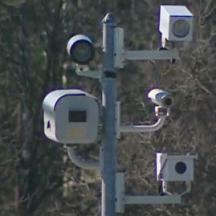 Baltimore City shut down several speed cameras as a result. Xerox lost the contract to Brekford corporation at the end of 2012. However Brekford was forced to shut the program down shortly thereafter when it was revealed that hundreds of additional erroneous citations were issued early in 2013 shortly after Brekford took over the program. The incidents sparked calls to modify the state's speed camera law to require stricter evidence standards including requiring citations to contain enough information to verify speed in the same manner which the Baltimore Sun did. However the state legislature rejected the changes at the insistence of local governments which run speed cameras who feared the information would be 'misused' and that 'the courts would be swamped' if falsely accused motorists had access to enough evidence to mount fair defense. Baltimore City had originally budgeted to bring in over $15 million in revenue from its speed and red light camera program, however Mayor Rawlings Blake told the Sun "We look for ways to become more efficient and absorb that loss" and that "there are no programs that are going to be cut." A report on Fox Baltimore stated that when it was noted to Mayor Rawlings Blake that the program had been shut down for six months, the mayor responded "Your welcome." Baltimore City's current contractor, Brekford Corp, also runs the speed camera programs in Hagerstown, Laurel, Greenbelt, Morningside, and Salisbury. Brekford was forced to issue thousands of speed camera ticket refunds when it was discovered that cameras in Greenbelt and Hagerstown were operating with expired calibrations. This year the cities of Salisbury and Morningside both denied public information act requests for calibration records made by the Maryland Drivers Alliance, and we are still to this day attempting to obtain those records.